We guarantee that we can help you with any Acer services or repairs you need anywhere you are in Brisbane. Acer Reboot Computer Repairs Yeronga – Affordable and award winning Acer computer repairs in Yeronga and Brisbane! Acer, a Taiwanese multinational hardware and electronics corporation, was the sixth-largest personal computer vendor in the world. With their Australian subsidiary namely Acer Computer Australia, it is no surprise that many users choose to buy Acer desktop computers and laptops. If you owned any Acer computer systems and needed an expert repair, Reboot Computer Repairs Yeronga is here to serve you. There is no need to buy a brand new Acer computer just yet! Let our experts take a look at your Acer computer first and we will give you an honest, comprehensive and cost-effective repair solution that is far cheaper than buying a new one. 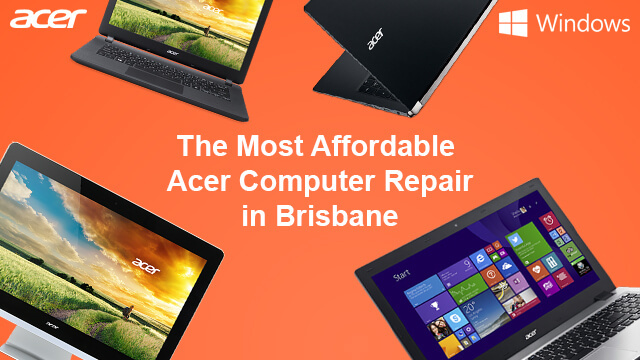 We guarantee that we can help you with any Acer services or repairs you need anywhere you are in Brisbane. Acer DC jack repair – Does your laptop only run with the battery? Does your DC Jack feel loose? 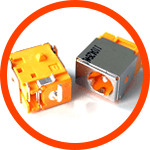 We repair DC Jacks better than Acer manufacturers do. Regardless of which Acer computer you have, we will fix it for you. 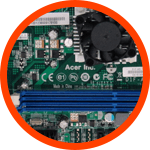 Acer motherboard repair – Computer motherboards control nearly everything. If suspect that your machine is having a motherboard issue, call Reboot Computer Repairs Yeronga and have our expert technicians check your motherboard and repair it. The repair is often cheaper than buying a new one. Acer LCD repair and replacement – Flickering images? Cracked screen? Dead backlight? Lines appearing on the screen? 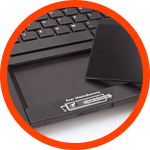 Whether your Acer LCD monitor is missing blocks or lines of information, has a scratched surface, or not able to function at all, don’t worry! Reboot Computer Repairs Yeronga can fix it for you. We offer the best Acer computer repairs in Brisbane. 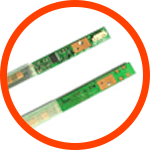 Acer laptop keyboard repair and replacement – Missing or non-functional keys? Spilled liquid? It might be time for a keyboard replacement. Give us a call and we will be right at your service! Reboot Computer Repairs Yeronga offers the best Acer keyboard repairs in Brisbane. 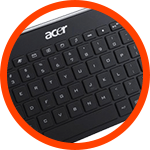 Acer touch-pad repair and replacement – Having a hard time controlling your cursor? Touch-pad not working at all? Bring your laptop to us and have our technicians check out the problem. For all your track-pad or touch-pad needs, call Reboot Computer Repairs Yeronga. 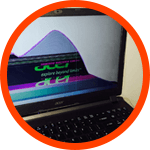 Acer inverter repair – Is your Acer LCD screen flickering and showing a faint image? There might be something wrong with your Acer’s backlight inverter. Reboot Computer Repairs Yeronga can fix and restore your LCD brightness and display like it’s new. Have you found the right Acer repair service you are looking for? You can give us a call at (07) 3155 2002 and let us know about your Acer computer repairs or you can continue reading for more. Acer virus and malware removal – If your Acer computer ever got a virus or malware in it, give us a call or visit our workshop and we will clean-up your computer system right away. We specialize in removing malicious software, annoying pop-ups, ransomware, Trojans and all kinds of spyware. You can check out our dedicated virus and malware removal service for all kinds of laptop for further details. Acer desktop and laptop upgrades – We can perform both software and hardware upgrades for your Acer product with perfect compatibility on your current model. Our dedicated upgrades service will guarantee that your PC will be updated to the latest supported software and hardware to optimize and speed up its performance. Data and file recovery – Lost your files on your Acer computer? Our service can help you in your problems with recovering your personal files, data, system and even your forgotten computer password. Custom built Acer computer – Do you want to personalize you Acer computer systems to your own liking? Reboot Computer Repairs Yeronga can help your custom built your Acer desktop or laptop for you. Let us know your desired specification and we will customize your PC in no time. Workshop service – You can always visit our workshop on your convenience. We are open 7 days a week from 7am up to 10pm and even on holidays. It’s best to give us a call first at (07) 3155 2002 and let us know your computer problems and our expert technicians will have you prioritized on your visit. Onsite service – We can send out our expert technicians to attend to your computer repairs needs. This means that you will no longer need to bring your machine to us, we will instead bring our service right on to your own workplace or residence, absolutely free of call out fees and travel costs. Remote service – For your Acer repairs that can be done without the need to travel, our expert technicians can also perform remote repair assistance for you. Just give us a call and our expert technician will connect to your computer remotely with your permission and we will fix your computer problems. No additional charges apply!